You could just unbox your drone, charge it up, and play with it (and we’re sure you already have). 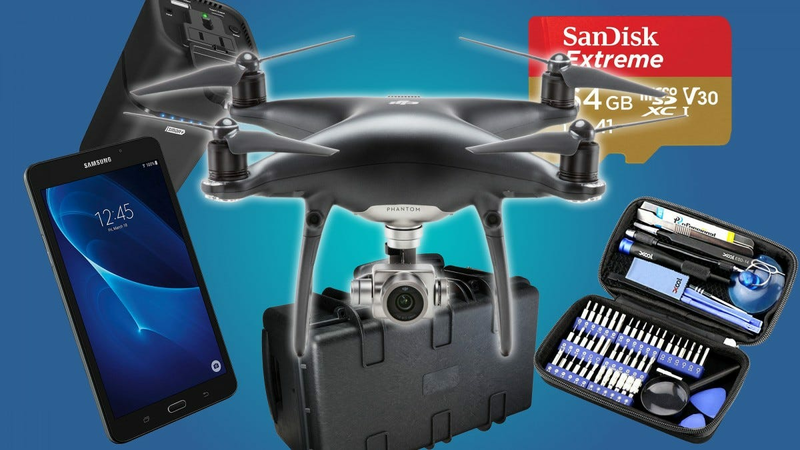 But once you get past the initial fun of just seeing the thing in action, you’ll want to start thinking about building a field kit for your drone. It’s no fun if you drive out somewhere to do some drone racing or aerial photography only to have a minor part break, a battery run down, or a simple repair send you home after an aborted mission. Here’s our suggestion list for a field kit that will ensure the fun stops when you want it to (and not when a setback sends you home). MicroSD cards are the de facto standard for any drone with a decent camera. While most include a small amount of storage on board the drone itself, it’s generally paltry, so recording video for more than a minute demands expansion. 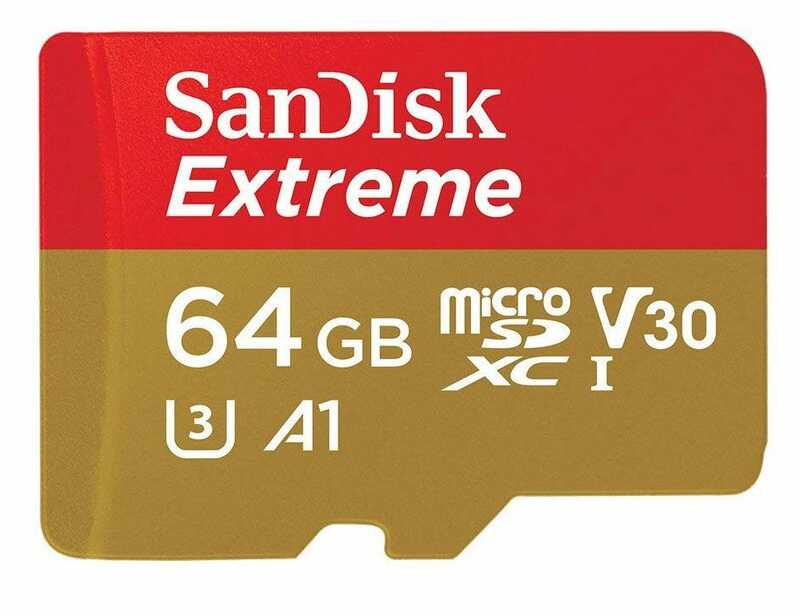 This SanDisk memory card comes in capacities up to 128GB—enough for a couple of hours of 4K video, or 4-5 for 1080p—and the physical card is rated for extremes of pressure and temperature that a high-flying drone might encounter. Best of all, the speed rating is enough to keep up with even the fastest camera, which is something you’ll want if you’re capturing high-FPS video. Most drones come with the ability to output their video directly to a screen for remote control. Your smartphone can handle this duty if you don’t have a dedicated screen, but why settle for that when you can pick up a larger tablet on the cheap? 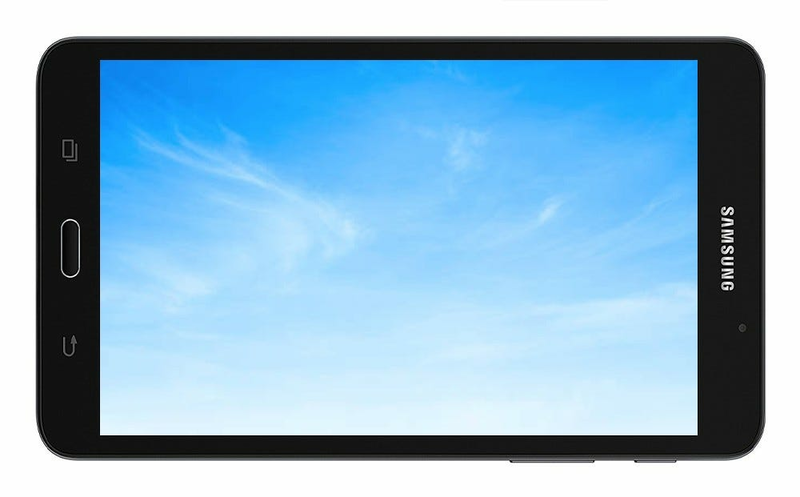 If you don’t already have an iPad or something bigger, this Samsung Galaxy Tab A can handle a 60fps control video via your drone manufacturer’s app easily, while costing only a fraction of dedicated screens like the DJI CrystalSky. You’ll want to stock up on extra batteries for your drone to get in flights for more than 15-30 minutes at a time. While drone models are so varied that we can’t really recommend anything except the battery that comes directly from the manufacturer, we can offer something that lets you recharge a spare battery while you’re already flying. 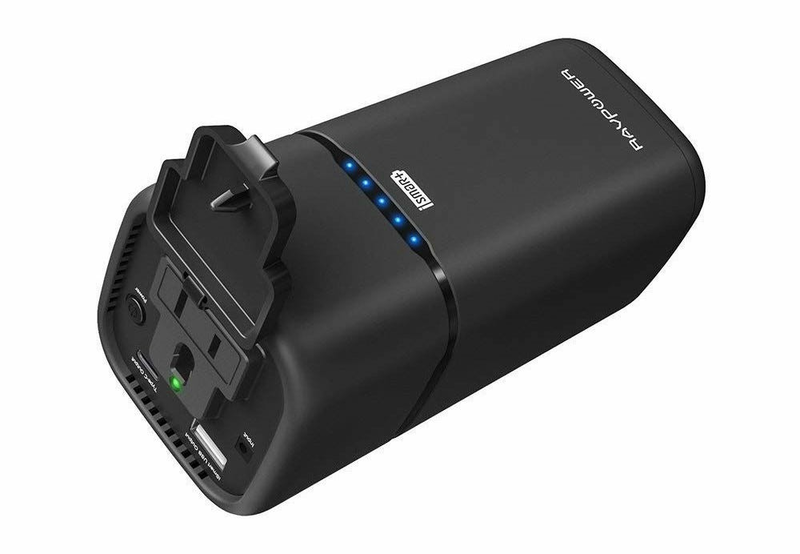 This RAVPower portable battery features a full-sized wall outlet that will accept any charger, plus USB outlets for your other gear. It holds over 20,000 milliamp hours of power, which should be enough to recharge even the largest drone batteries several times over. If you’re driving to wherever you plan to fly your drone, you can also use a power inverter for your car. Crashes are all but inevitable when flying your drone, especially if you’re a beginner. Most manufacturers will sell replacement rotors (the most fragile part of your drone) at the very least, and some will even have other replacement parts like motors and struts available. But you’ll need some way to actually install them if you don’t want to waste a trip. Enter this tiny electronics toolkit. 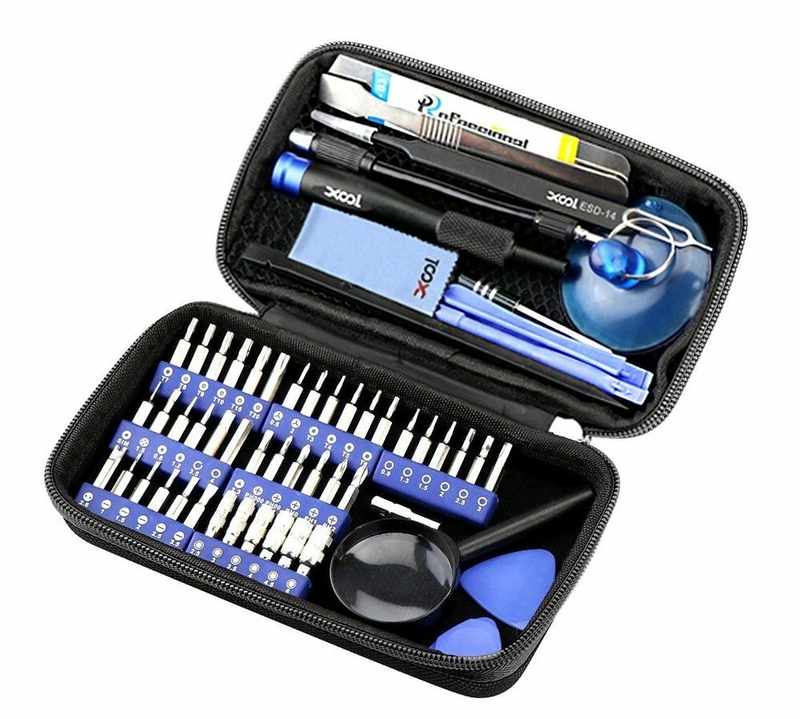 It includes a driver with over 40 screw heads specifically designed for smaller parts and all magnetized to make grabbing bolts and screws easier. Tweezers, spudgers, and various other opening tools should be useful if you need to repair something more intensive, and it even includes a handy magnifying glass. All of this comes with its own soft nylon carrying case for just fifteen bucks. It’s well worth taking along. Of course, you’ll need something to carry all of this stuff in, especially if your drone is larger than average. Popular models have custom carrying cases you can buy, like this slick backpack designed specifically for the DJI Phantom. But if your drone isn’t popular enough for dedicated carrying cases, you can roll your own with a hard-sided cases and a foam-lined interior. It’s the go-to solution for pros who carry high-end camera equipment and other delicate electronics. Pelican is the go-to brand here, but we like the AmazonBasics copy of their sturdy designs for its lower price. The foam-lined protective panels can be removed in sections about a quarter-inch square each, allowing you to create perfectly-sized pockets holding your drone and all its ancillary equipment. It comes in three different sizes for different hardware—make sure you’ve got enough space for your drone and extras, and leave an inch or so margin for extra padding—and larger ones include rolling luggage-style extending handles and wheels. 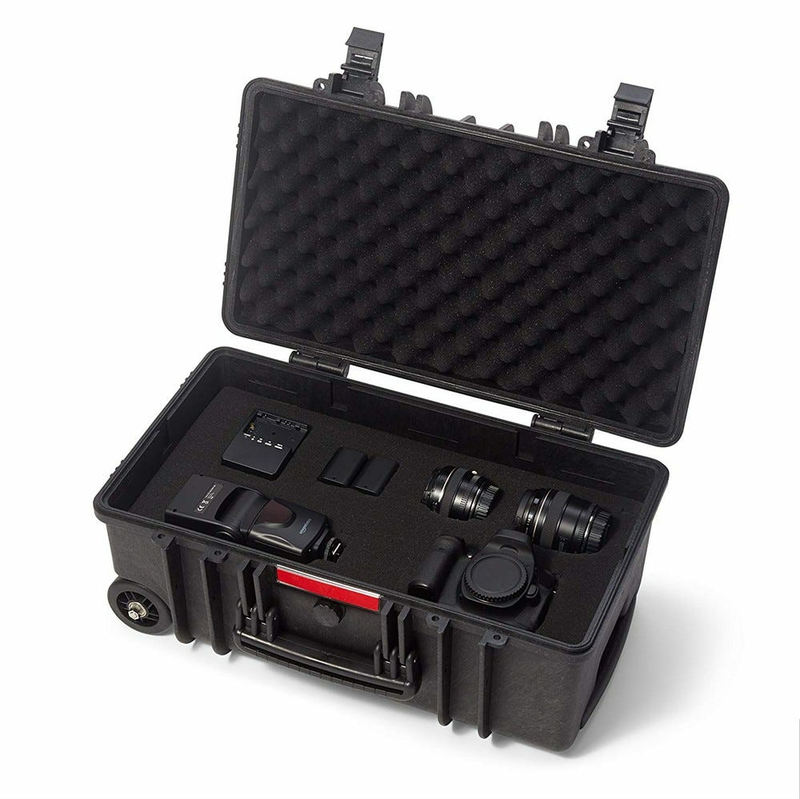 The sealed cases are watertight and can take a serious beating while keeping your drone safe. Our other recommendations will need to be selected for compatibility with your specific drone model, since not all drones work with all equipment. But we once again recommend getting at least one pair of spare plastic rotors that you can swap out in case of a crash—you can generally find these on the drone manufacturer’s website if they’re not on a retail site. You’ll also want a dedicated drone controller (also called a remote or transmitter), even if your done can be controlled with just a smartphone app. Precision physical controls are a must if you want to do some serious flying. And finally, if you want to add a little immersive experience to your flight, you can get a first-person view (FPV) headset. These gadgets are especially popular in the drone racing niche. 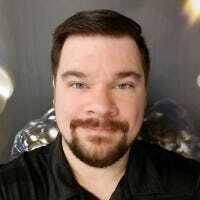 Some drones can transmit video to a third-party headset, like the popular FatShark models, while others require one provided by the manufacturer. Each of these things is worth the extra legwork required to find specific models compatible with your specific drone, but the benefits of spare parts, a dedicated controller, and an FPV headset are worth the effort.